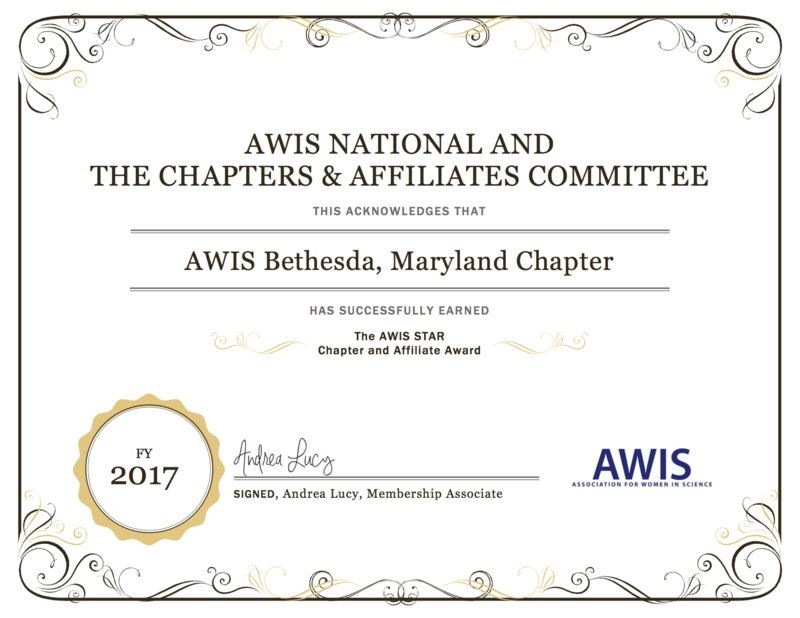 Our chapter has successfully accomplish 12 of the goals outlined by the AWIS National Governing Board and the Chapters and Affiliates Committee during the fiscal year and has been honored with the annual AWIS STAR Chapters and Affiliate Award. This award is given to a chapter or affiliation that demonstrated strong leadership and well-organized programs to advance women in STEM. Kudos to our chapter leadership team of empowered women who keep making an impact!